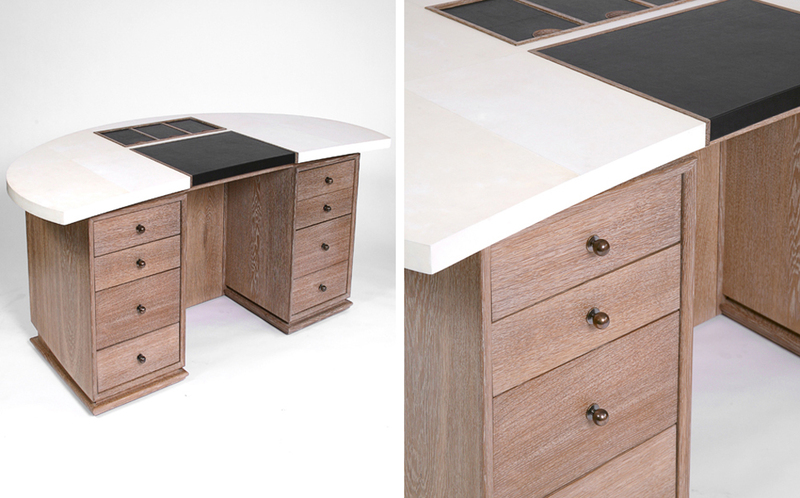 This Art Deco desk is in limed oak and features a velum top and black leather writing area and cubby holes. 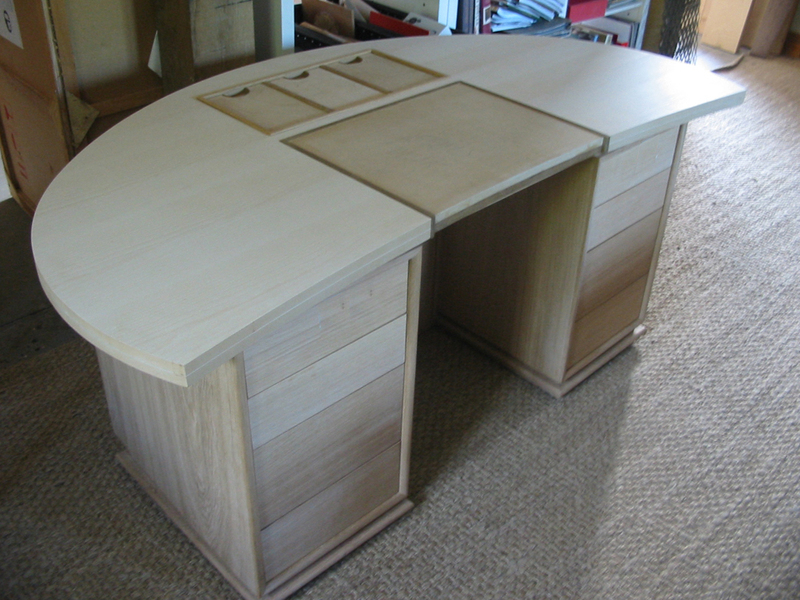 It was a commission I made for Rupert Bevan who designed the desk and were responsible for the finishing of the piece. 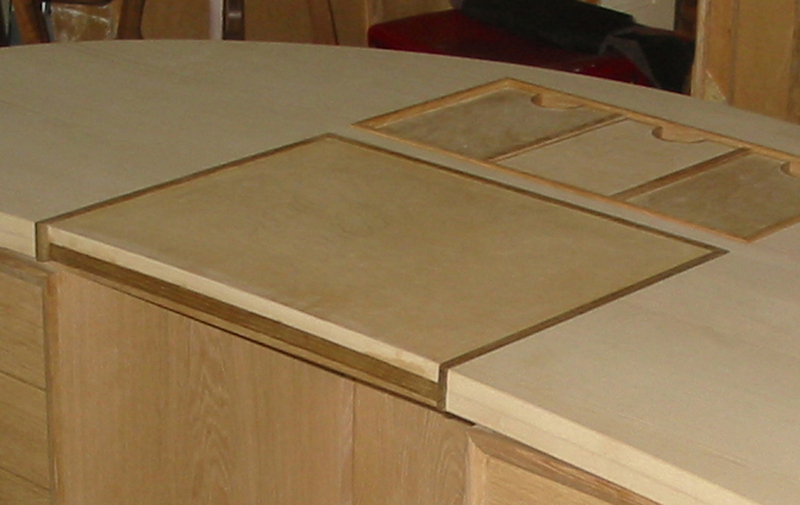 You can see more images on their website at RupertBevan.com.